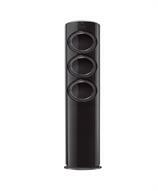 Front-facing, independent triple fans provide an intelligent balance of power and control. They provide optimum cooling and energy efficiency with a maximum cooling speed that’s significantly higher than standard air conditioners. 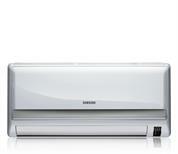 Samsung new air conditioner operates in its maximum speed in Turbo Cooling mode to quickly reach the set temperature. Instantly cool down your space with Samsung's Turbo Cooling technology. With Smart Saver, you no longer have to go through the annoyance of turning your air conditioner off as soon as you feel the room is sufficiently cooled, and then turning it back on when the room begins to warm back up. Smart Saver automatically runs the AC in the least amount of time necessary to keep the room comfortable, saving electricity up to 31% so your bill stays low and you stay cool. Samsung’s air conditioners with Smart Wi-Fi work around your schedule. You can operate them from your smartphone or computer. So, if you left your air conditioner on after leaving the house, use your smartphone to turn it off and help conserve energy. You can also turn on your air conditioner before you go home, so you arrive home to a perfectly cooled house. Enjoy the convenience of Smart Wi-Fi in the home as well: change modes, set the temperature and more, without getting up from the couch.